The first private carrier rocket built in China is due to be launched next week, reports the Qianjiang Evening News. The three-level carrier rocket, the "Zhuque Nantaihu," has been designed and manufactured by Landspace Science and Technology, a private firm. It will carry a micro satellite customized for CCTV's science experimental show "Go to the future" into a sun-synchronous orbit, as well as collect data for scientific use. Landspace Science and Technology was founded in 2015. It has 170 technicians and two R&D centers in Beijing and Xi'an. 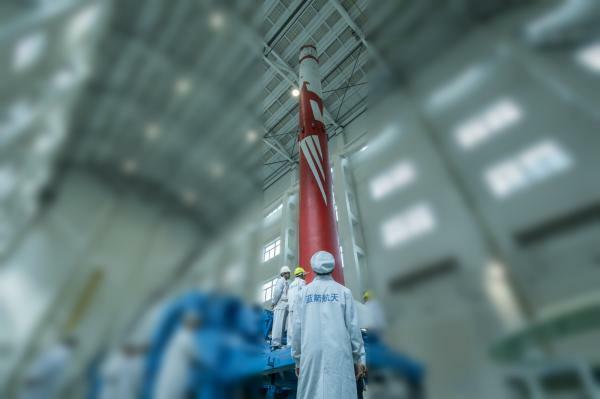 CEO Wang Jianmeng says the launch of "Zhuque Nantaihu" marks a milestone of spacecraft manufacturing in China, suggesting it will have a profound effect on promoting the civilian rocket industry. Commentary: Who creates China’s success? Highlights of "moonGARDEN" exhibition in Houston, U.S.